Last night, at 7pm EDT, Google announced they pushed out a refresh for the Google Panda algorithm. 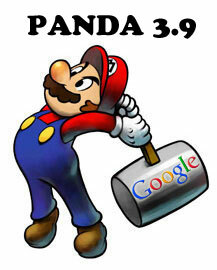 We had some rumors of a Panda refresh a couple weeks ago but Google said there was no such update. Truth is, looking at the forums, even as of this morning, there are very few complaints despite what I would normally see during a Panda refresh. This time, Google said this Panda refresh impacted about 1% of the search results, which is actually pretty significant. Not as significant as 11.8% when Google first launched Panda in February 2011 or as significant as Google launching Panda in Koera and Japan with 5% but still, for a refresh, it seems significant. So this surprises me that I don't see more complaints in the forums. That being said, the previous Panda refresh was Panda 3.8 and about 30 days before this update. SEOs are patiently awaiting a Penguin refresh, the last and first refresh we had was on May 25th, so we are due an update there.